“We haven’t been here for a while so the mug situation is a bit...” singer Orlando Weeks adds. He’s just emerged from a cupboard-like piano room on the staircase. Guitarist Hugo Weeks is on a window sill, quietly worrying a guitar. It’s all a bit less rock’n’roll than it is The Office. The Maccabees are extremely pleasant, thoughtful young men with £5 names and 50p accents. It’s hard to imagine them chucking TVs into swimming pools or dropping molly “in the club” - although to be fair to them, it is currently 11am on a Monday morning. Swerving scandal, burn-out and bust-ups, they’ve been plugging away for a decade trying to become who they are - and with their new album, they think they might just have managed it. A sort-of concept album, Marks To Prove It follows the basic arc of a night out in South London - from the promise of the evening as you head out, to the literal sounds of the nightbus as you journey home alongside the 4am people on their way to work. 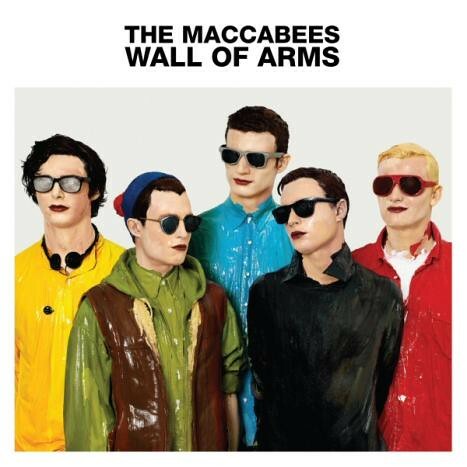 It’s an older, more contemplative record than 2012’s Given To The Wild but hangs on to a bit of the boyish charm of early Maccabees when they were writing songs about municipal leisure centres and thwarted trips to Disneyland. But that doesn’t mean it came easy. The band spent “a long time” trying things out, experimenting with new sounds and techniques and ending up with “hours and hours of nice and good, interesting music” but no real direction. Instead of cobbling together an album from what they had, they narrowed down the infinite musical choices by imposing limits. Everything had to be playable live, everything had to fit with the vague theme. “When we started trying to put those limitations in, it focused us,” Orlando says. ”We had a common goal. Because it’s very difficult when there’s lots of you with different, er...” - he pauses, struggling for the diplomatic word - “...tastes and ways of working and ambitions, to try and find that middle ground.” You get the feeling there might have been a few tense discussions along the way. Making an album is a weird mix of magic moments and crushing mundanity. Orlando sounds tired, describing the recording process as “endless hours where you're just sat there thinking I haven't done anything except sit here and listen to kick drum patterns.” You and I sit at computers colour-coding spreadsheets and endlessly scrolling through Twitter, The Maccabees sit and listen to the same drum fill for six hours. Making an album is a weird mix of magic moments and crushing mundanity. They struggle to come up with much they’d change about their career other than that, as if they’re afraid that even saying they’d do something differently would somehow change the past and lose them their success. 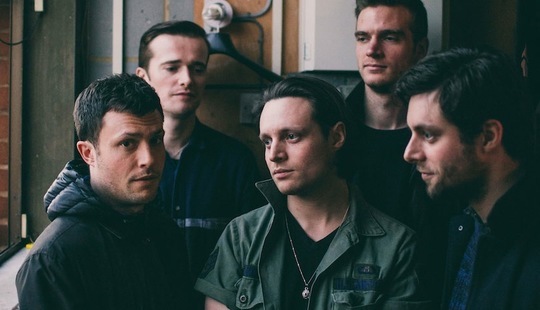 As one of the few survivors of the great 2007 indie-boy buzz-band boom, The Maccabees are no strangers to how quickly a hyped up band can become a has-been. They sigh when I ask them why they think they’ve managed to sustain a career where others didn’t. “We do get asked that quite a lot,” Felix says before Orlando launches into a list of reasons that sounds quite rehearsed. A decent label, a mutually respectful working process, loyalty to each other, yadayadayada. A lot of luck, basically. Luck, freedom and a few really great songs. It’s the concept of capturing that magic that keeps coming back up as we talk. From the misleading ease of pop music (“If it seems like it’s just fallen out the sky then it seems more... it’s got more,” Orlando says) to the wonder that is Brixton Academy (“A lot of venues in London pop up and go away and become cool and don't become cool but I think Brixton's just Brixton, innit?”) and how differently they find that spark in music as fans. Hugo’s more technical mind breaks songs down into component parts as he listens, while Orlando is a bit more romantic about it and tries to forget he knows the mechanics of how songs are made, and Felix gets starry-eyed about spine-tingling moments watching Jamie T play a certain line live. It might not feel as light as a pop song about a wave machine, but Marks To Prove It doesn’t feel like a slog to me. It feels like staring out of train windows and dancing as a light drizzle slowly dilutes the cardboard cup of lager in your hand. And when you’re colour-coding spreadsheets and endlessly scrolling Twitter at 11am on a Monday morning, there’s a magic in that, for sure. Marks To Prove It is out now.